How Fast Does An Electric Adult Scooter Go? Why Get An Electric Scooter For Adults? Who says an electric scooter for adults isn’t practical? Who says scooters are just a child’s plaything? In recent years, technological advancements have led to the rise of the electrically motorized scooter for adults, a mode of local transportation for people of all ages that is both convenient and fun. Opting for an electric scooter over a more traditional vehicle is an excellent eco-friendly and affordable option, as these devices operate on very little energy. They are also more accessible than traditional bicycles, therefore making them widely user-friendly for folks of all different bodily abilities. To assist you in your search for the perfect transportation method, we’ve thoroughly vetted some of the top adult electric scooters on the market today. Here are the results. From a college student looking to speed up their between-class commute to the big city professional who’s tired of waiting for the bus, this list has the ideal battery powered scooter for adults everywhere. Read on to find your fit! The Gotrax GXL is an electric kick scooter for adults who care about style as much as they crave convenience. With a slick all-black design and red, light indicators, this is not your childhood scooter. This is an ideal product for busy professionals on the go. With two speed settings, the Gotrax GXL can get you from A to B in the time you desire with no fuss. Plus, the device was designed with portability in mind, including a lever activated folding frame that makes it easy as pie to hop off your Gotrax, seamlessly fold it up into a lightweight, portable bundle, and make it to that next meeting on time. Why We Liked It – The Gotrax GXL allows users the freedom to travel without sacrificing aesthetic. There’s a stigma that battery operated scooters for adults are childish, but this product is classy and sleek enough to turn heads and change minds. When it comes to riding scooters for adults, the Glion Dolly takes the cake for durability and commuter-friendliness. For folks who use adult motorized scooters in combination with public transportation, no competitor on our list tops it. That’s because the device is incredibly lightweight—coming in at only 28 pounds—and is designed to easily collapse, with features such as roller wheels and a handle that allows commuters to roll the scooter behind them like a suitcase. In terms of durability, the Glion Dolly is built to last. Constructed from 6061-T6 aircraft-grade aluminum with a corrosion-resistant powder coating, the frame of this scooter is military grade. Why We Liked It – The Glion Dolly is a top-notch example of electric powered scooters for adults that melds with daily life. With the roller feature, there’s no need to adjust your normal commute in order to utilize this device. When we think of childhood, we think of Razor scooters. That’s why nothing can beat the sentimental appeal of choosing the Razor E300S, the perfect Razor electric scooter for adults. And what really makes this product great is the addition of the seat, making it a battery-operated scooter for adults of all ages and abilities. Incredibly user-friendly and comfortable to operate, the Razor E300S features uncommonly wide 10″ pneumatic tires that allow riders to balance easily and feel truly secure on the device. 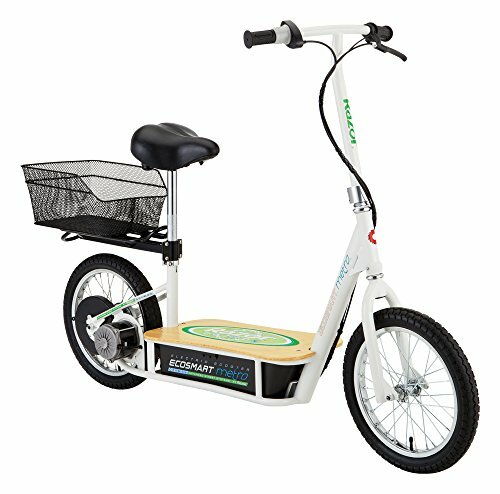 With a larger frame and padded seat, this is one electric scooter adults and teens alike can enjoy. 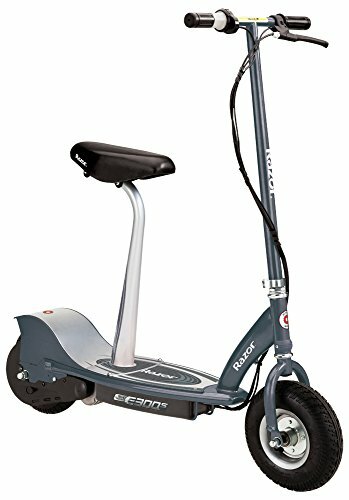 Why We Liked It – The Razor E300S is an incredibly accessible electric scooter adult, teens, and those with specific physical limitations can all use with ease and comfort due to the sturdy base and thick tires. Razor also offers an off-road electric scooter called the AX200. If you’re a tech buff, then the Ninebot Segway ES 2 is the ride for you. The sleek, minimal design of this scooter looks like a normal kick scooter at first glance, but upon further evaluation, it is so much more than that. With a convenient cruise control feature and smart braking technology, this matte black ride will get you where you need to go on time with the utmost comfort. Innovation is all over this device. It comes with its own app to allow easy software updates and has an energy-saving Smart Battery Management System that maximizes battery performance and makes sure your ride is as green as possible. Why We Liked It – With the intelligent and innovative tech in the Ninebot Segway ES 2, there’s a lot to like, such as the ambient LED lights that are cleverly built into this scooter. A slight glow of your favorite color can accompany your ride. This MEGAWHEELS S1 is the ideal product for people who don’t need extra frills but pride themselves on their good taste. Sporting a black design with your choice of red or green accent features, this ride boasts consistent speed and power, even when heading up inclines of 15 degrees. With 5-8 miles of guaranteed travel on each battery charge and an expertly-designed quick folding solution, this device is a great choice for city commuters. Clocking in at only 18 pounds, the MEGAWHEELS S1 is an extremely lightweight option that doesn’t sacrifice efficiency for flair. Why We Liked It – One factor that sets MEGAWHEELS apart from competitors is their dedication to customer satisfaction and care. That’s why the company offers professional technical support to folks who choose their products. The Razor E325 is a 2-wheel electric scooter for adults and children alike who want the simplicity and classic design of the early 2000s scooters. 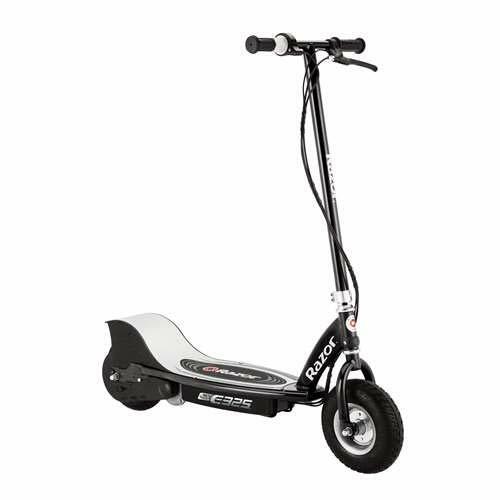 With the look of a classic kick Razor and the variable speed options of a high-tech modern adult size electric scooter, this product is the best of both worlds. The twist-grip throttle allows for easy use, as does the extra sturdy wide standing base. Adjustable handlebars and a high weight limit mean that riders of various heights and sizes, an electric scooter for kids to adults, can enjoy this surprisingly affordable scooter for substantial periods of time. Why We Liked It – Some things don’t need extra frills to get the job done well, and that’s exactly what the Razor E325 exemplifies. Throwing back to classic kick scooter design, this product is fun and easy to use for the whole family. When Costzon designed this scooter, they really thought of everything. 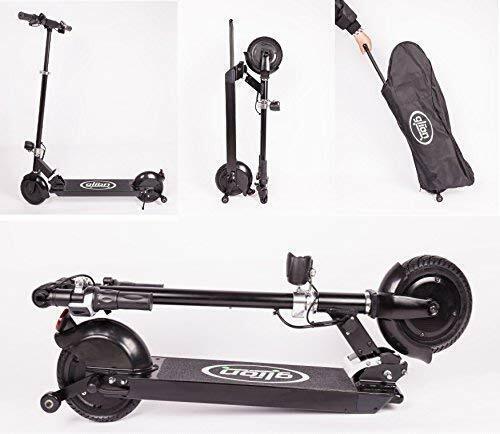 Complete with a miniature kickstand and adjustable handle height, the Costzon 24v is a great choice of a safe, efficient product for the first-time scooter buyer. With an extra wide footbed for comfort and stability and anti-skid technology, the Costzon 24v puts safety first without sacrificing quality. Shockproof and built to last, this device can easily adapt to riding smoothly on many surfaces, including paved roadways, wood planking, and even gravel. Whether you’re sightseeing or just running a few errands, the Costzon 24v may be your answer. Why We Liked It – This is a great introductory scooter for someone still testing the waters. Incredibly stable and safe, the Costzon 24v is also available in a foldable and non-foldable version to cater to specific client needs. The classic Razor E300 is one of the first and best battery powered scooters for adults and young people alike. With a 24-volt chain-driven motor that allows riders to easily speed through the neighborhood at 15 MPH, there’s no wonder it still earns a spot on this list. The design includes a hand-operated rear brake that allows users to respond quickly to traffic and pedestrian activity. Plus, the battery charger is included, and we found it operates effectively on gravel and grass, making it a fun and versatile device for both youth recreation and adult commuting. Why We Liked It – The Razor E300 recalls childhood whimsy while remaining a high-quality piece of technology. Motorized scooters for adults often take themselves too seriously, but this one strikes the perfect balance of function and fun. This is an updated version of Razor’s E200 electric scooter. While on the hunt for the best electric scooter for adults, it can be daunting to know what features are worth something and that’s just a bunch of meaningless hype. 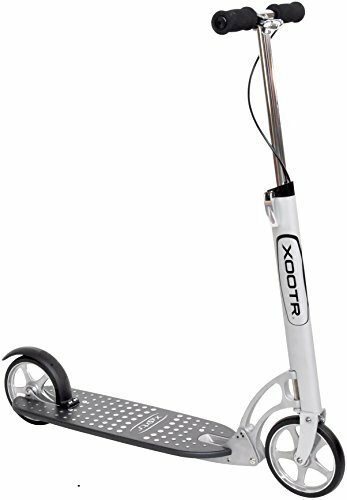 What are the most important qualifications for an adult motor scooter that make them worth the money? Here’s a guide to help you muddle through the choices and find your perfect fit. “User-friendliness” means something different to everyone because no two users are the same. So, when shopping around for the best battery powered or electric push scooters for adults, it’s important to know what type of user you are. Do you prioritize gadgets and style, or would you prefer something sturdy and safe? What physical capabilities or limitations do you possess that could make or break a scooter experience? 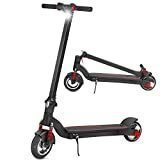 There are definitely battery scooters for adults of all sorts on the market but knowing what type of user experience you want to have is key to selecting the perfect product. Some scooters, such as the Razor E300S, have features such as seats that make them more accessible for a wider range of people. For example, someone with lower body disabilities may not be able to ride an electric kick scooter but could potentially sit on the sturdy seat and base of a seated scooter to get around. Other scooters feature dual brake systems for an increased sense of security and fast response time or commuter enhancement features such as roller wheels. Once you decipher what your “user-friendly” scooter qualifications are, you can better narrow down your options and feel confident in your selection. 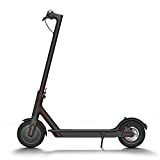 A big consideration when you are choosing an electric scooter for adult use is the range that a device allows you to travel. In this regard, not all scooters are created equally. Generally, this isn’t because one brand is superior to another, but because each product is designed with a different type of use in mind. For example, a commuter scooter needs to be able to transport riders to and from specific destinations and therefore must have a longer battery life to allow a longer travel distance. Recreational devices, on the other hand, can sacrifice some of that battery longevity for other features because a battery charger is likely more accessible, and the scooter is not being relied on for essential transportation. And while this is an important distinction to make, it can be tricky to decipher manufacturer statistics of given products. 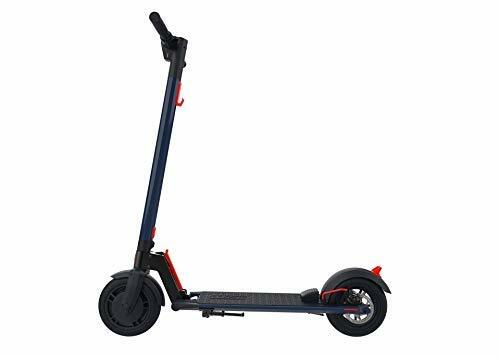 Plus, there are a lot of variables that can affect travel range, such as the weight of the user, the health of the battery, head-wind while riding, and the type of terrain on which the product operates. With all these moving parts, it’s often difficult to predict what the true range of a scooter will be. But a basic understanding of wattage can help shoppers understand the manufacturer lingo and put you in the best position. 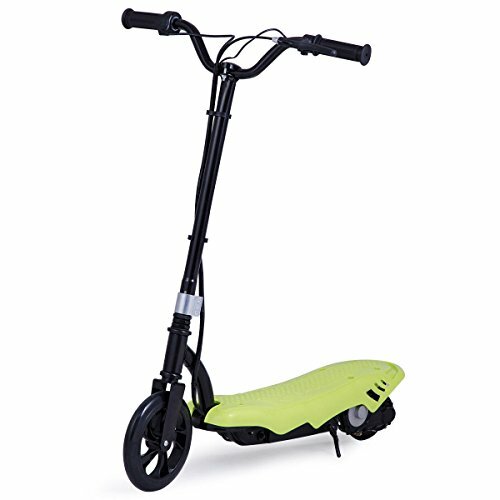 Scooters with under 350 Watts generally don’t have incredibly high speeds or fast acceleration, so these models are suited for smoother terrain with no steep inclines. If you are in a hillier area, look for something with 750+ Watts of power for optimal performance. A well-maintained battery generally has at least 45 minutes of use, or approximately 10 miles on flat ground, before it needs to be recharged. Think through your plans with your scooter and what type of riding you will be doing before you decide on a product. For all but the toughest thrill-seekers among us, comfort is an important consideration when shopping for any product. Scooters are no exception. Suspension and tire type are important considerations to determine how smooth of a ride you can have on a device. High-performance tires, such as those of the Gotrax GXL, utilize anti-slip technology with high traction that fosters a smooth ride and eases the impact of bumpy terrain with shock absorption. Additionally, brakes are important for comfortability. Low-quality brakes that lock up instead of easily slowing a device can cause accidents and easily wear out tires. Scooters with front and rear braking systems or disk brakes are the best for a safe, seamless braking experience. This makes for a more pleasant journey, and it can prevent bodily tension or repetitive motion injuries. In the age of the iPhone, we as a society have been taught that it’s best for battery health if you let your device drain completely before charging it back to full capacity. When it comes to owning a scooter of the electric variety, adults often try to apply this same logic in battery maintenance. But unlike cell phone batteries, a scooter battery will last longer and perform better if users charge the battery after every ride, regardless of how much battery charge was used. Whether you ride for 3 minutes or 30, it’s important to charge your scooter battery when you’re done. This allows you to maximize the full-service life of a battery. When a battery is left with a partial charge for a long period of time, there is a risk that it will become susceptible to oxidation, which can potentially damage the battery life by reducing the ability of its plates to hold a charge. When it all boils down, understanding battery health is the most integral component of maintaining battery scooters for adults. Without the battery, you won’t get very far. That is, without pushing yourself! While no two scooters are quite the same in design or capability, most adult scooters clock in at around 15 MPH on the high end. Often, a battery scooter for adults will offer variable speeds, so users have more control over how fast they want to travel. Some scooter companies even cater to city commuters who utilize roadways and travel in traffic with competing vehicles. Therefore, those models can reach up to 20 MPH. On the reverse, some scooters intentionally have a max speed of closer to 8 MPH, allowing novice or younger users to feel safe as they ride. While initially a bit of a financial investment, an electric scooter can have loads of benefits in the long run. 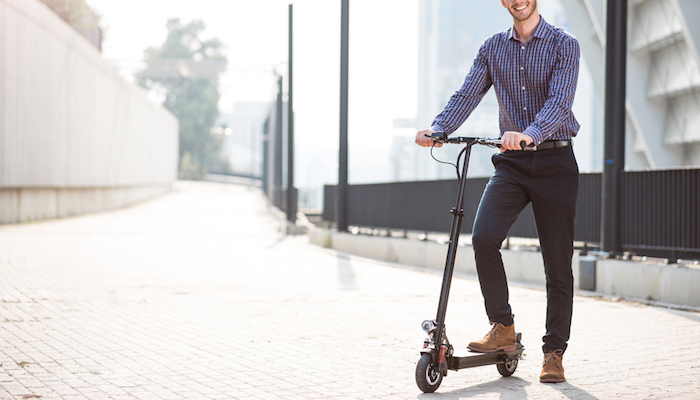 For folks who are environmentally conscious, a battery-powered scooter is an excellent way to cut down on your carbon footprint without drastically interrupting your daily life. While opting for a bicycle may be an even more eco-friendly decision, bikes involve a certain amount of physical exertion and athleticism that not everyone has. But a scooter can get people from one point to another with minimal effort and very little power usage. For commuters, a power scooter can be a great addition to a transit routine. Instead of waiting for a transfer bus, you can simply hop on your scooter and complete a commute. Plus, many scooters are easy to transport on trains and buses due to their lightweight, collapsible nature. So, whether you are shopping for a scooter for recreation or professional use, there is an environmentally-friendly fit out there for you. If there’s a period of time that you are storing your scooter, such as during a cold snowy winter, it’s important to take it out and charge it at least once every three months. This can help prevent damaging oxidation. If storing a scooter during the colder months, make sure it is kept in a neutral temperature area away from the cold but also not too close to radiators because extreme temperatures can also damage a battery. We might associate scooters with the 1990’s, but they’ve been around for more than 100 years! From homemade scooters made out of roller skates and cardboard boxes to the electric scooters of the 1930’s, this fun form of transit is here to stay! Since kick scooters rose in popularity in the 1990s, there has been an incredible evolution of technology that has kept these simple devices at the forefront of inner-city transportation and recreation. 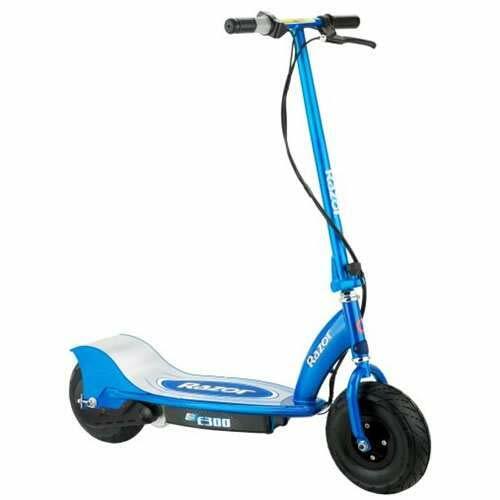 With the abundant electric and battery powered scooters for adults currently on the market, every individual can truly find the perfect device that can enhance their daily commute and add a little extra fun to their lives, all while reminding of the 90s neighborhood shenanigans of younger years. This guide can help you make an informed decision, whether you’re a long-time scooter enthusiast or just getting ready to join the club. And why wouldn’t you want to become part of this unique community? With the benefits of eco-friendly transportation, affordability, accessibility that can be personalized, and the utmost convenience, electric scooters of all varieties are great alternatives to common methods of transportation in today’s bustling world. Join in on the fun and find your perfect fit today!